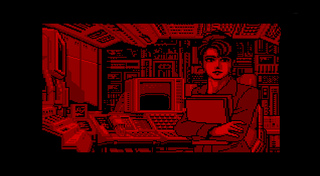 Snatcher is one of the coolest video games ever made. It also, obviously, never made it to Nintendo’s doomed Virtual Boy, so you’ve got a couple of fans to thank for this unexpected demo of the adventure classic running on the VR system. One of those fans, as outlined in this planetvb forum post (via Tiny Cartridge), is thunderstruck, who actually put this demo together. It’s a hell of a feat, taking between 200-300 hours, as he had to take every screen and convert it to stereoscopic 3D, along with adding stuff like PCM music and sound effects. During the last coding competition a new member going by the nickname Red Metal joined planetvb. He planned to submit a VB port of Snatcher, a game that I had never heard of. After 7 post he stopped writing updates. Almost exactly one year ago someone else posted that Red Metal had passed away. That post choked me up quite a bit. I had never talked to him but from his post I could tell that he was a very nice person. I felt like I missed my chance to get to know him. I tried to express that in a post but somehow my words felt meaningless to me. It sparked an idea though... I could create a Snatcher port in his memory. So I started learning about the game and all the different versions. After playing it for a bit I came to the conclusion that it’s too complex. But somehow I couldn’t let the idea go.